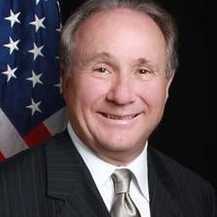 Michael Reagan is the eldest son of former President Ronald Reagan and Academy Award Winning Actress Jane Wyman. He is one of the most DYNAMIC and sought-after public speakers in the public arena today. His commitments to public service and the vision his father championed are second to none, making him the natural heir to the Reagan Legacy. Michael also serves as chairman and president of The Reagan Legacy Foundation, which seeks to advance the causes President Reagan held dear and to memorialize the accomplishments of his presidency. He has also appeared for years on network television as a commentator and guest on the Today Show, Good Morning America, Good Day LA, CNN, Fox News, and is a Newsmax Television contributor. Michael is also involved in charities and public service, including: The Young America’s Foundation, and is on the Advisory Board for Mixed Roots Foundation which helps the adoption and foster care community. Michael has been married for 43 years to Colleen. They have two children – a daughter Ashley, 35, who is an elementary school teacher, and a son Cameron, 40, who works in sales.